There’s a new show in the wilderness! 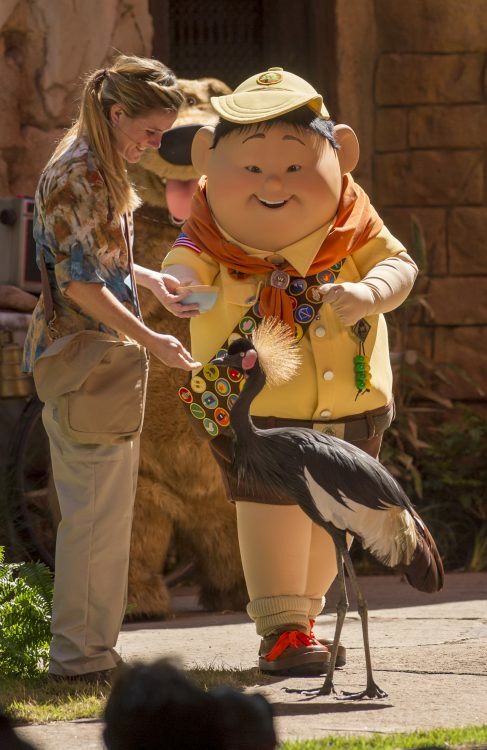 Senior Wilderness Explorer Russell and his furry pal Dug from Disney•Pixar’s animated hit film UP join bird experts on a new adventure featuring encounters with birds from around the world. UP! A Great Bird Adventure made its onstage debut at Disney’s Animal Kingdom on Earth Day, April 22, coinciding with the theme park’s 20th anniversary. Led by an avian enthusiast and bird experts, this unique experience features a close-up look at bird species from South America, North America, India, Africa, and other locations around the globe. More than 15 species of birds make appearances, including toucans, parrots, macaws, and an African fish eagle with a magnificent 7-foot wingspan. 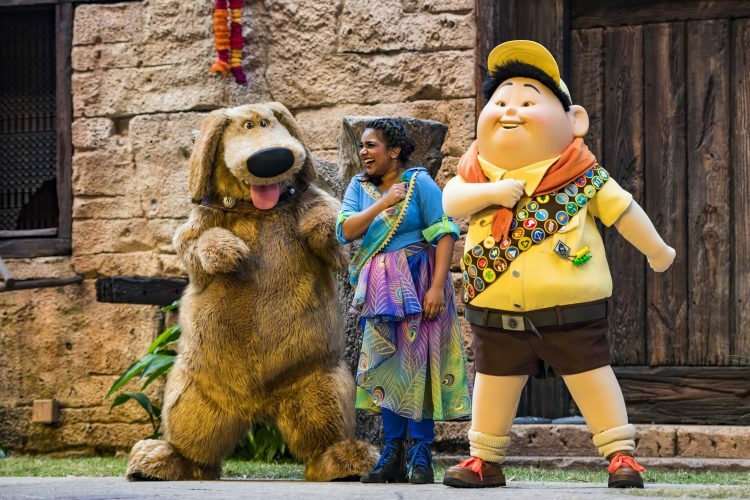 This is the first time that Russell and Dug from DisneyPixar’s UP appear onstage at Disney’s Animal Kingdom. An original, authentic Indian musical score features themes from DisneyPixar’s UP. Twenty animal trainers were involved in the training and rehearsal that brought the show to the stage. Four trainers work with the birds and the actors during every performance. The production team’s goal is to showcase beloved Disney characters and the amazing natural behavior of birds to inspire guests to connect with nature. Are you excited to see UP! A Great Bird Adventure?